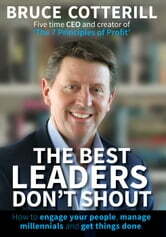 In The Best Leaders Don’t Shout, Bruce shares the lessons learned as he and his teams have defended businesses against the threats of the poor performance he inherited, and then turned those same businesses around into highly profitable organisations with engaged teams and ecstatic customers. His jargon free and simple approach to leadership provides an enlightened pathway for anyone wanting to be a better leader or manager. The Best Leaders Don’t Shout is designed with the busy reader in mind. It is full of quotes, lists, stories, summaries and questions. If you want a quick business quote to round out the company newsletter or a theme for tomorrow morning’s sales meeting, there is something in these pages to get you underway. This is a book for anyone running a team. You might be a CEO looking for fresh ideas, or a middle manager looking to bring something extra to your role as you grow your career. Alternatively, you may be running your own business or looking to start one. Whatever team or organisation you are leading – there will be something here for you. 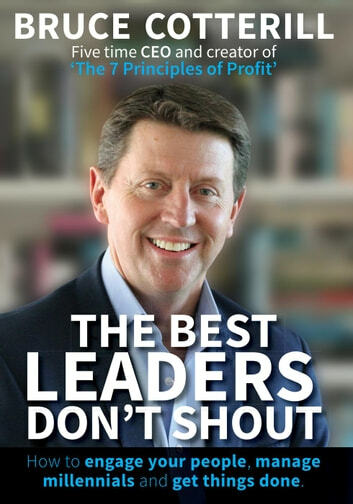 So don’t just shout about it … become a better leader.